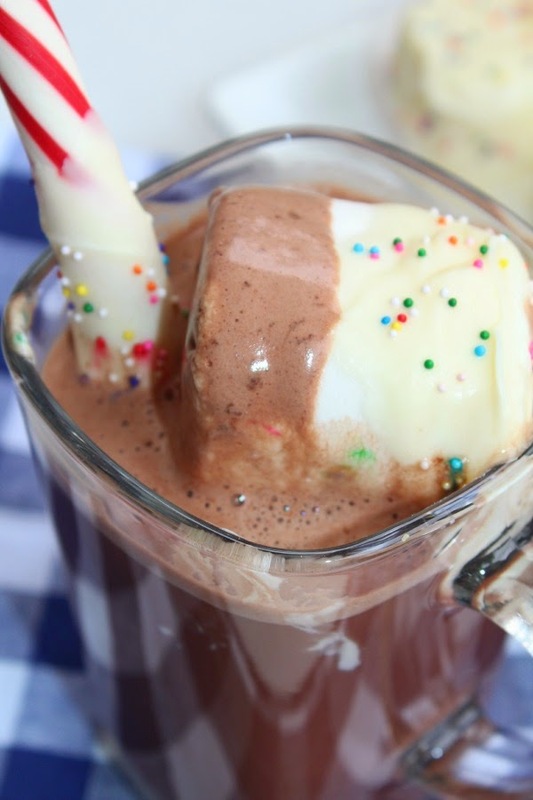 One of the best things about winter is hot chocolate. There are few things more decadent than coming in from the cold, slipping on pajamas, and then curling up on the sofa with a great book and a huge mug of hot chocolate. It is also great to serve during the winter months when having company (it was a huge hit when I attended my last book club meeting). 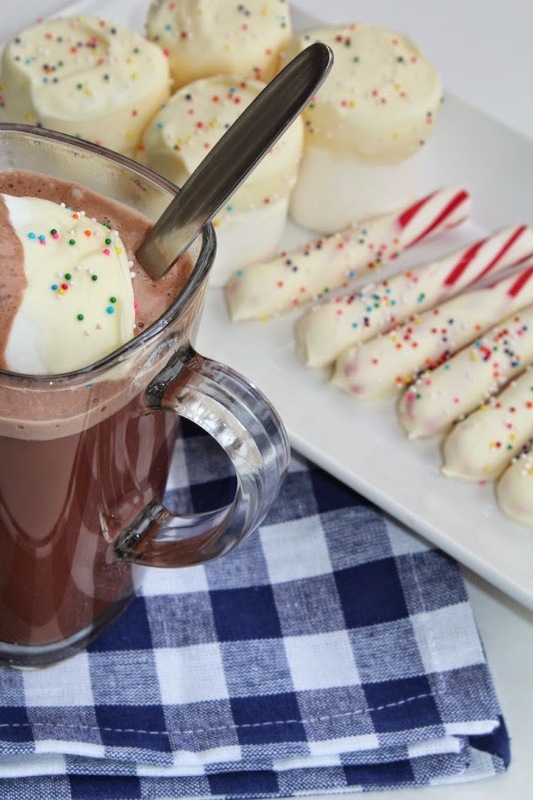 Recently I decided to have a hot chocolate bar during my family's annual Christmas cookie decorating get-together on Christmas Eve. 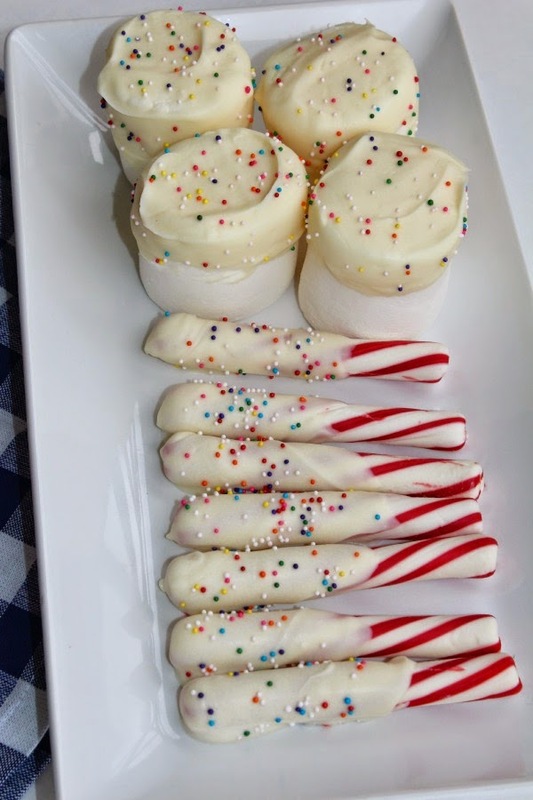 A couple special and easy additions to my hot chocolate bar are peppermint stick hot chocolate stirrers and white chocolate dipped marshmallows. 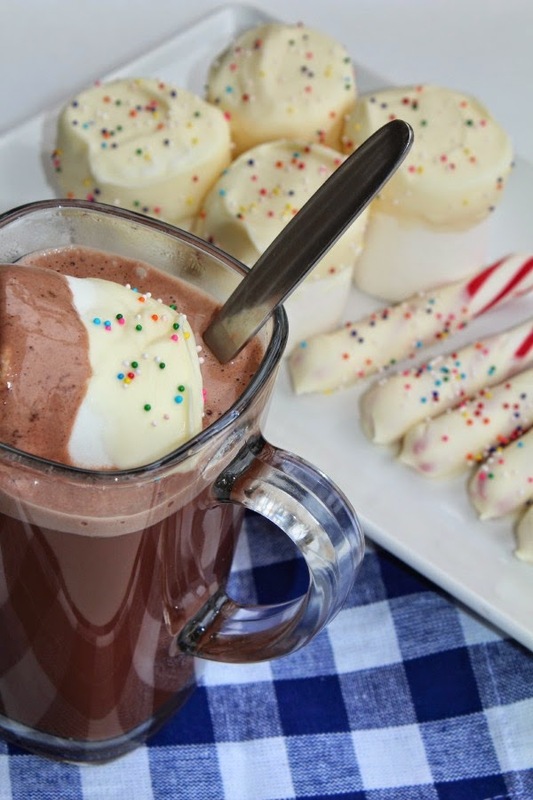 I made these DIYs in less than a half hour and they are super cute and so fun to add to a steaming mug of hot chocolate. 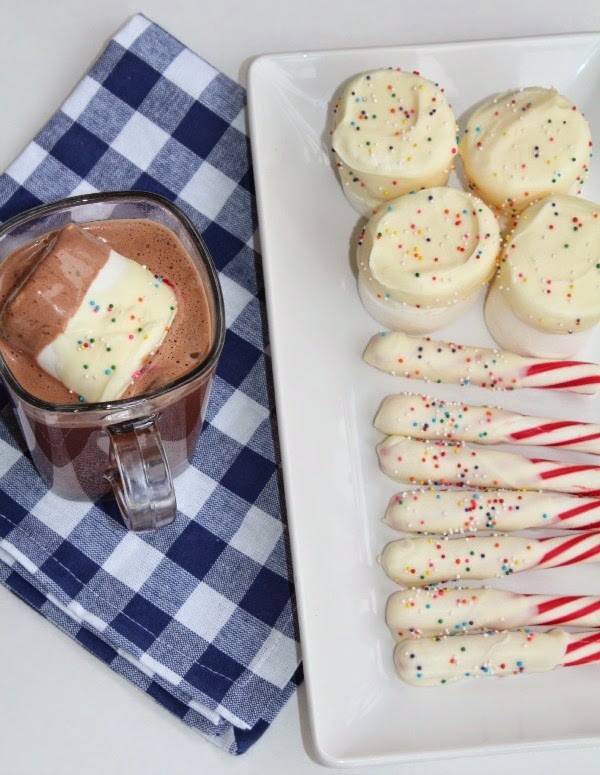 For the stirrers all you need are: white chocolate candy melts, sprinkles, and peppermint sticks. I melted my candy melts in a double boiler but you can also use your microwave. 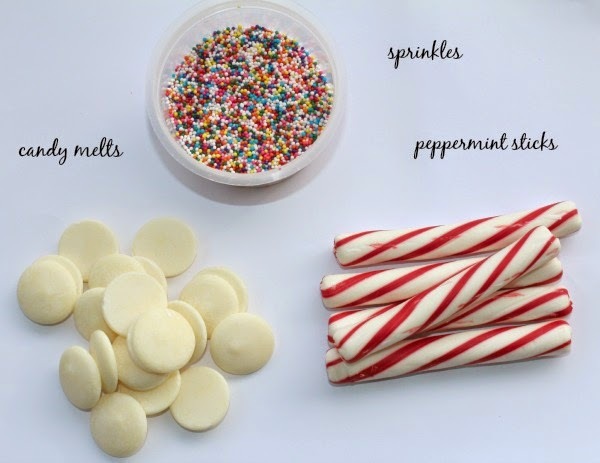 Dip peppermint sticks into the white chocolate and then add sprinkles. Carefully place onto wax paper and allow to cool completely so that the white chocolate hardens. For the marshmallows I placed the unwhite chocolate covered side down onto a wire rack to and then allowed them to cool completely. Store in air tight containers until you are ready to serve. Oh my goodness! I want to eat that now! It looks fabulous!! Everything you make looks so good! I want to try this making this! Oooh, look at these Christmas-y goodies! :) Now I'm hungry, ha. the chocolate on everything (and sprinkles!) make this super indulgent! Happy Christmas, ladies!